Elias Teklu, the correspondent of the newspaper ‘Dehai Eritrea’, was imprisoned by the government of Ethiopia in 1954 and then taken to Alem Bekage prison former central prison in Addis Ababa where he died. In 1954, the publisher of "Dehai Eritrea" Mahmoud Saleh was imprisoned and a contributor to the newspaper, Elias Teklu was also imprisoned by the government of Ethiopia which later condemned him to life imprisonment. Elias Amare Gebrezgheir on December 17, 2001 wrote: ‘Dehai Eritra entered the stage with gusto and started to write provocatively critical articles pertaining to the government’s activities in Eritrea. Its editor was Hussien Seid Hayoti (for a while Mohammed Said Mohammed was also the editor) and it was a weekly newspaper written in Tigrinya and Arabic, with a smattering of Italian articles. Two of its brilliant writers of the early period were Elias Teklu and Siraj Abdu. 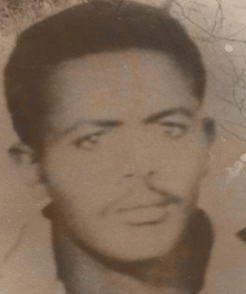 Elias Teklu was later imprisoned for his vigorous defense of the democratic constitutional rights of Eritreans and was taken to Ethiopia were he languished in prison for some years and finally joined the rank of the earlier martyrs. One article of the early period was titled “wshTawi naSnet iertras nabey abilu Kon iyu zguAz zelo” (Whither the internal autonomy of Eritrea? ); another expose under the title of “qunqune ab hnSa mengsti iertra” (termites inside the structure of Government of Eritrea) warned against corruption of power of the Baito representatives [Read more]. Furthermore according Tekie Fessehatzion, one of the several articles that alarmed the Eritrean and Ethiopian governments was an article by Elias Teklu. The two-part article was entitled “Stagnation or Progress” In the two-part article Elias drew a comparison between Eritrea’constitutional government and Ethiopian’s monarchy. The editor was warned several times, said the Secretary, but continued to publish ‘tendentious’ materials “until the paper was closed” Even after the paper had won the first court battle the constitutionalty of closing the paper in the first place was kept alive in the Assembly. Ibrahim Sultan reminded Tedla Bairu that suppressing the paper was unconstitutional, in breach of Articles 22 and 30. [pp47-48].